Strongly pigmented wax-based face paint that is perfect for line work, blending or layering. Provides superb, opaque coverage that lasts all day without fading or cracking. Black is the "blackest" black paint that works best for adding smooth lines and tear drops. Easy to apply either with a sponge or a brush. Removes easily with soap and water. Each 1.06 ounces (30 gm) Face Paint Container is good for 50-200 applications. 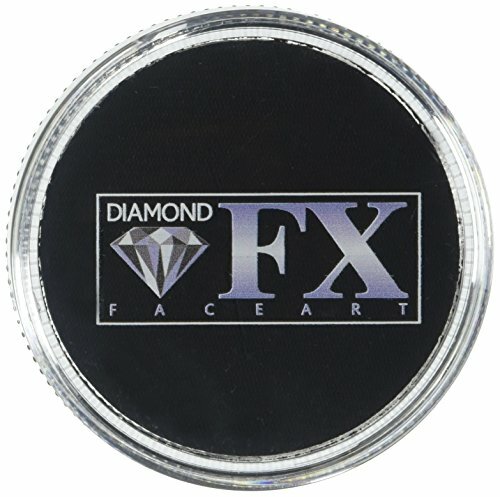 If you have any questions about this product by Diamond FX, contact us by completing and submitting the form below. If you are looking for a specif part number, please include it with your message.